Preheat oven to 350°. Heat pita pockets for 5 minutes. While the pita pockets are heating, place the curried rice and lentils in a skillet and heat up. 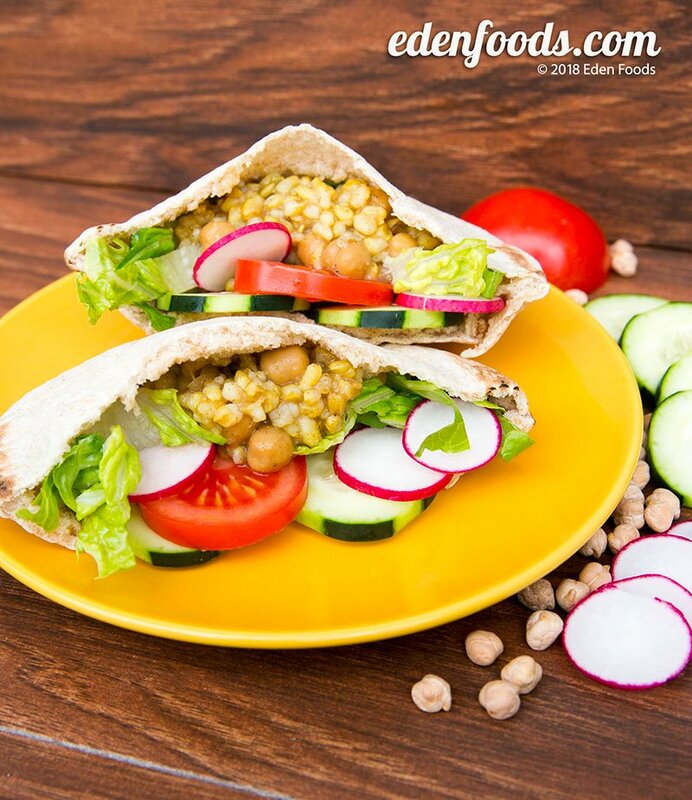 Remove the pita, slice in half and place equal amounts of rice, lettuce, red radishes and cucumber in each pocket. Drizzle on a bit of Eden Roasted Tahini before serving.